Around the holidays loving friends and family often inquire about gifting newborn and family photography sessions and I am so thrilled they are contemplating such a thoughtful gift. 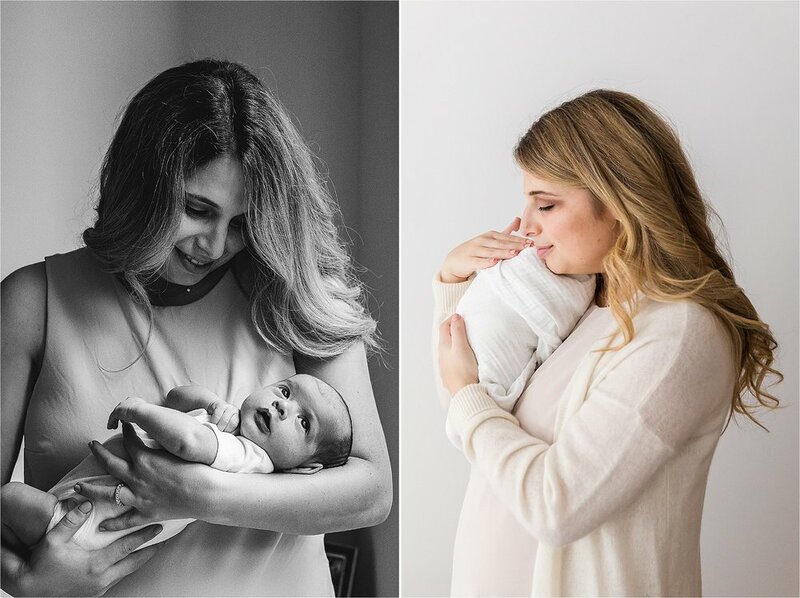 There is no better gift to an expecting or hardworking mama than portraits (aside, of course, from home cooked meals, holding the baby so mom can nap or shower, and doing laundry and dishes without being asked). I hope you show up for the small things a new mama or mama or little ones needs, but if you are looking to invest in something special, a portrait session is definitely the gift that keeps increasing with value as the years go by. How do loving friends and family gift a custom portrait session with boutique service and high end products? The most popular option is to gift my Session Fee plus an amount that the recipients can use at their viewing and ordering appointment to choose artwork and digital files that fit their needs. All purchases are made after viewing final images and there is no minimum spend, but most clients plan to spend $700 to $2000+ at their viewing and ordering appointment, so the Session Fee plus an amount somewhere in that range is often a great idea. Prior to gifting, givers are given detailed investment information so they not only know what their gift amount can purchase, but the boutique experience their recipient will receive, which includes consultation to plan their session, high-end wardrobe for the entire family, optional on site hair and makeup services, and an in person viewing and ordering appointment to select artwork and digital files. On occasion, friends and family gift just the Session Fee after consultation with the intended recipients who already adore my work and know about my exceptional client experience and heirloom quality products. I allow recipients to gift the Session Fee (without an additional product investment gift) after speaking with the intended recipient to ensure I’m the perfect photographer for them. I also now offer petite studio sessions, which make a wonderful gift for an expecting mama looking for maternity images or some mommy and me portraits once baby is out of the newborn stage. I got to meet sweet baby Tate, his big brother and sister (the gorgeous fur babies you see here), and his lovely parents in their beautiful NYC apartment in DUMBO, Brooklyn due to a very thoughtful and generous family member. I could have been nervous that it was cloudy and rainy on the morning of Tate’s in home newborn session, but I was not; I am skilled at working with natural light as well as creating my own light when necessary with speed lights or studio strobes. I do not request a reschedule for indoor sessions due to inclement weather unless the weather forecast advises people to stay indoors. (I do, of course, offer a reschedule option for inclement weather when clients are traveling to the studio with young babies and children.) Clients love that I can work with whatever light is available because it means that the time and money they took preparing for their session does not go to waste. No one likes worry about their fresh polish chipping, but there is truly nothing like booking hair and makeup services only to find your photographer cancel on you last minute due to clouds. That is not fun. Tate’s family lives in DUMBO, Brooklyn, which is known for big beautiful buildings with industrial elements, including high ceilings and large windows that let light stream in. Tate’s home was as lovely as I imagined. I took advantage of the beautiful, soft natural light for portraits near their large windows. The result are timeless images with lots of depth and emotion, which lend themself very beautifully to black and white. On occasion (such as when working with the furry big brother and sister), I added some fill flash for crisp, bright images that are fun and more consistent with my in home work on sunny days. The result is a custom session that truly captures what it was like to welcome Tate home.